On Sept. 14 the newly renovated engineering center of Stark Learning Center was dedicated to Randy and Robin Mark. Students, faculty, and family joined together to celebrate the dedication and official opening of the Mark Engineering Center. The Marks are also local business owners of Pulverman in Dallas, Pa, and have been on the board of trustees since 2013. Randy Mark is a Wilkes alumnus who graduated with a bachelor’s degree in business administration in 1981. This gift helped booster the 16-month, $8 million renovation to the engineering department of Wilkes University. Stark now contains high-performance computing research labs for all types of engineering students. As the demand for engineers continues to increase in the United States, Representative Eddie Pashinski believes this edition to Wilkes University showcases our belief and investment in the future engineers that come to Wilkes-Barre, Pa. The Mark’s gift was matched with a three million dollar redevelopment grant from the Commonwealth of Pennsylvania, where Senator John Yudichak and Representative Pashinski attended the dedication ceremony as a friend of the university and on the Commonwealth’s behalf. Senator Yudichak began to specify what this Engineering Center means not only to Wilkes University, but to the city of Wilkes-Barre, and why he himself found it necessary to give the money to Wilkes. Yudichak compared the Mark’s investment and turn-around of the Pulverman company for Northeastern Pennsylvania to the investment Wilkes University has on their students and for the city of Wilkes-Barre. “When we all work together behind a great vision… this is the result,” added Representative Pashinski, who is also a Wilkes alumnus. Margaret Steele, master of ceremonies, accredited the accomplishments of the university to the leadership of the faculty and the dreams of the students. After Pashinski and Yudichak, Steele invited two members of the Wilkes campus to the podium who both shared their experiences from Wilkes University’s engineering department. Dr. Carole Baddour, the first speaker, is a mechanical-engineering professor who has her own lab regarding nanomaterials. 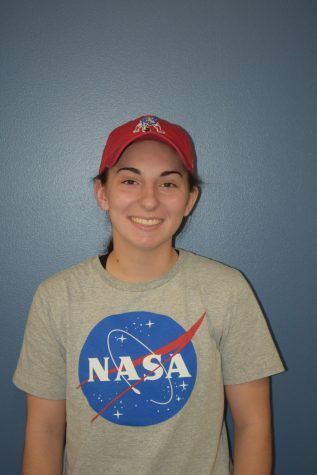 She talks specifically about how the advancement of research labs at the university will help students be successful in the rapidly changing world of engineering. “This renovation shows Wilkes’ commitment to the future,” said Dr. Baddour. Second Jeffrey Liss, an unconventional engineering student pursuing his bachelor’s degree in mechanical engineering, came to the podium to talk about what Wilkes University has taught him. Dr. President Leahy was next to the podium who shared his dreams of Wilkes University before initiating projects that allowed old and rustic mansions to coexist with state-of-the-art academic buildings, much like the campus does now with the new Stark Learning Center and other newer additions to the campus. “What I like most about this place, is that we can put engineering on display right in the heart of the campus,” said Leahy. Dr. Leahy then introduced Randy Mark who shared a brief history about how he came to be the successful businessman of Pulverman that he is today and why he has invested into the Wilkes campus. The theme of all of Mark’s stories was to take action and not settle for mediocrity. 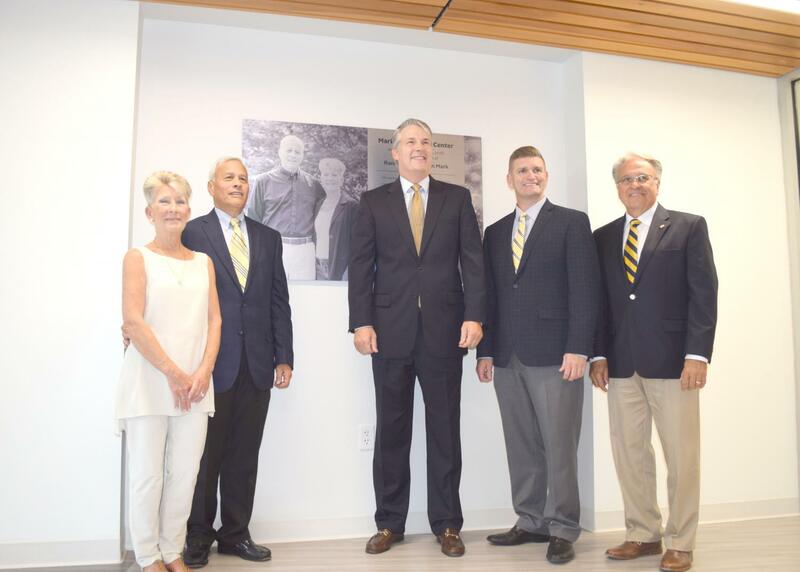 The dedication ceremony ended with the unveiling of the Mark’s plaque commemorating their donation to the Wilkes University campus.